Hi friends! 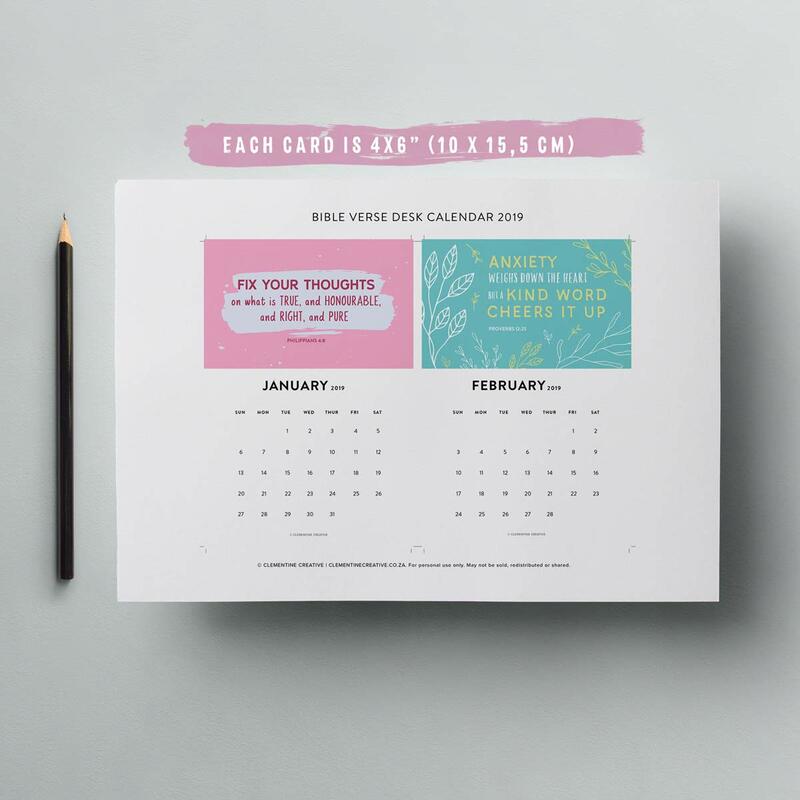 Yesterday I launched my printable 2019 Bible verse calendar and I’m so excited to reveal it to you. 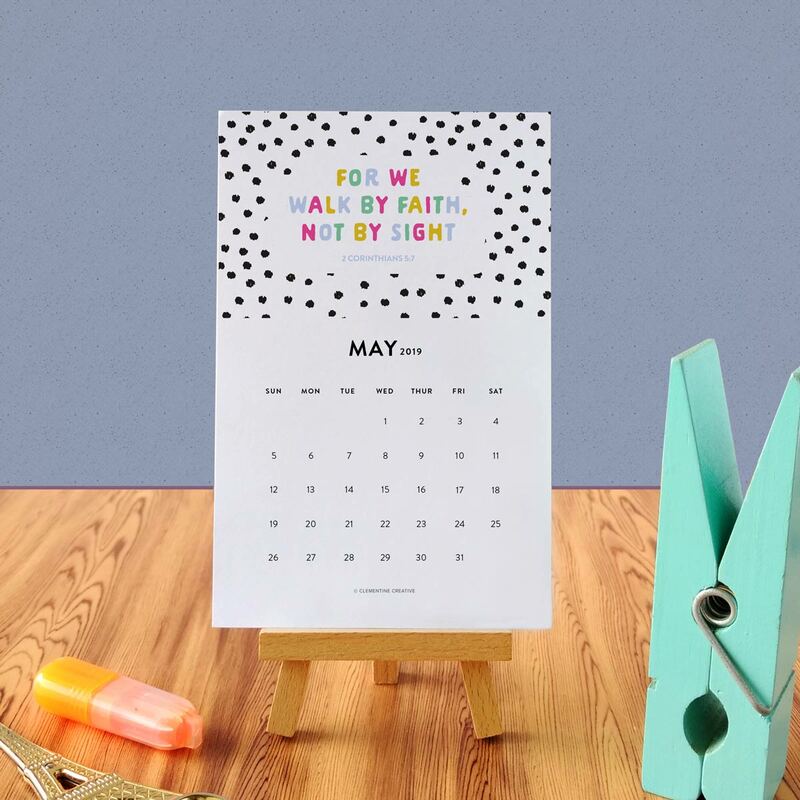 This is a mini calendar (4 x 6″) that you can place on your desk to make it look oh-so-pretty. Each month features a different Bible verse so you’ll be inspired month after month. You’ll look forward to a new month so that you can reveal the new design. 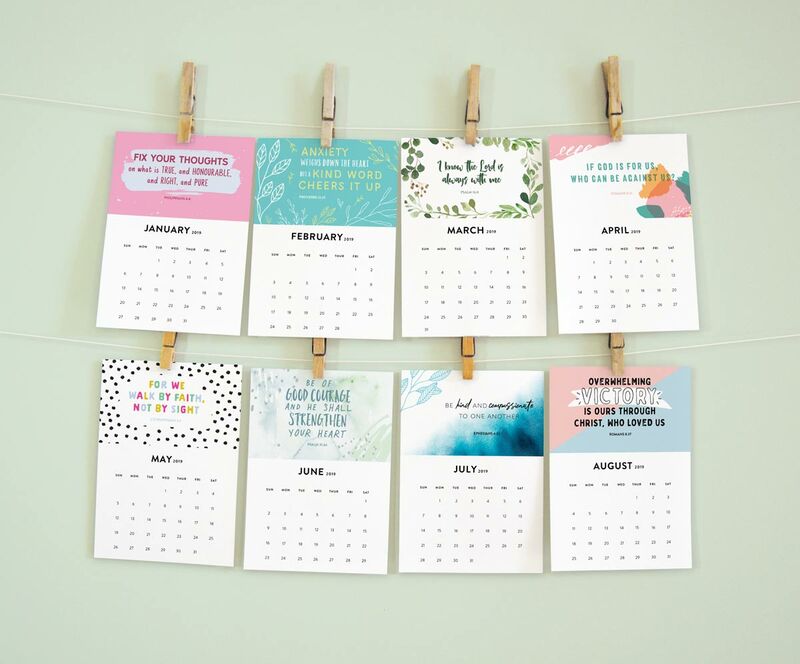 You can display your Bible verse calendar cards on a miniature easel like I did, or a photo holder, mini clipboard, or inside your journal (those are my affiliate links). Each calendar card is 4×6″ and two cards print out on one page. Pictured here is the calendar starting the week on a Sunday, but a Monday-start version is also included for those who live in Europe. This calendar includes all 12 months of 2019. January 2019 – December 2019. 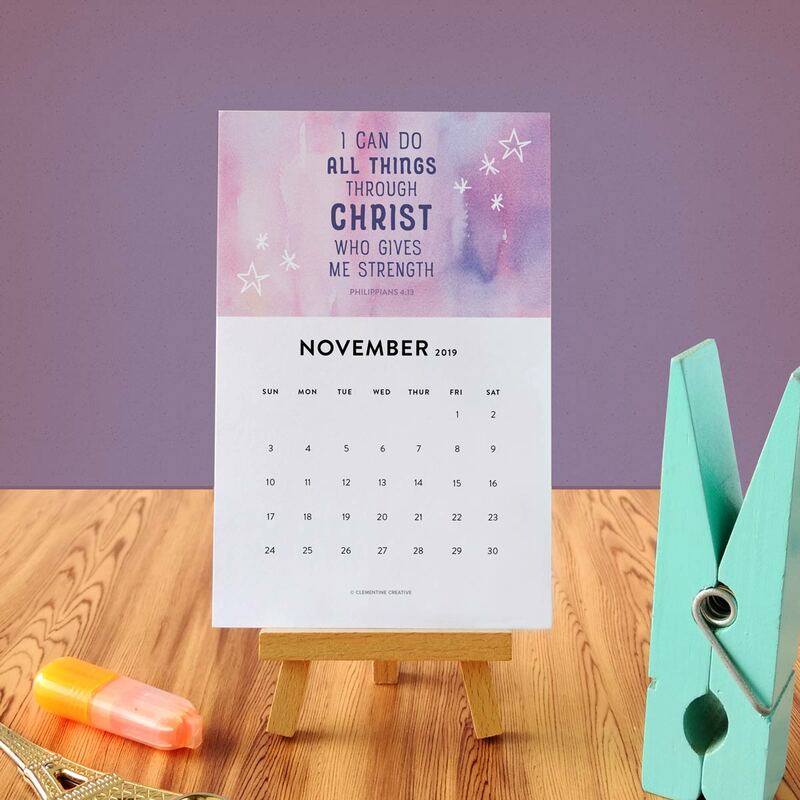 This Bible verse calendar also makes a great gift for stationery lovers, teachers, work colleagues, etc. Print out this calendar at home, package it in a pretty box together with one of the stands/displays I mentioned above, and you’ve got a pretty, thoughtful gift. Click here to take a closer look at my new printable Bible verse calendar. If you decide to purchase I would like to thank you for supporting my small business. God bless!